The ultimate decadent chocolate cake – and it’s foolproof! 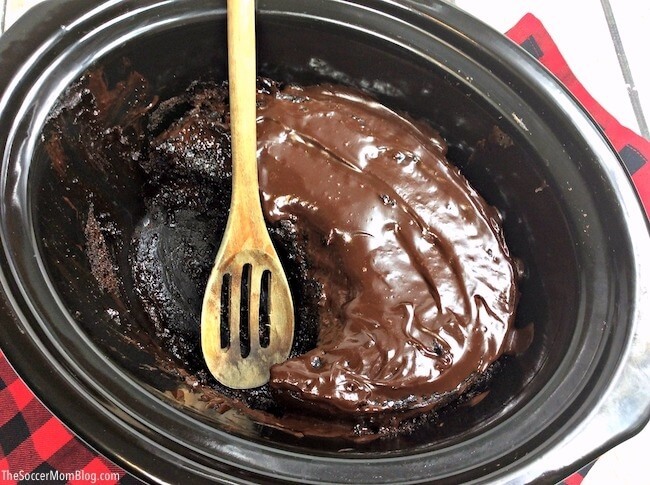 Our slow cooker chocolate lava cake is rich, gooey, and literally overflowing with fudge-y goodness! There is nothing else that gets me excited dessert-wise like a decadent chocolate cake. The more chocolate, the more Hershey’s Kisses, the more fudge, the better! Restaurant desserts can be hit or miss, but it’s hard to mess up a molten chocolate lava cake. That’s always a safe bet for a satisfying chocolate treat! 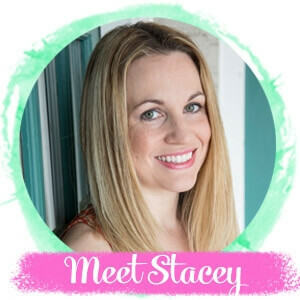 But you don’t have to wait for a night out to enjoy a drool-worthy chocolate lava cake — it’s actually super easy to make one at home in your crockpot! 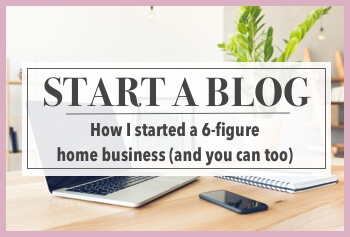 This may or may not be a good thing…haha! Related: When I’m feeling healthy, I whip up this super easy 2-minute Keto Chocolate Mug Cake! 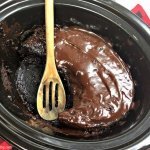 For your convenience in re-creating our Slow Cooker Chocolate Lava Cake, I’ve included shop-able ad links to some of the products we used. Disclosure policy available here. 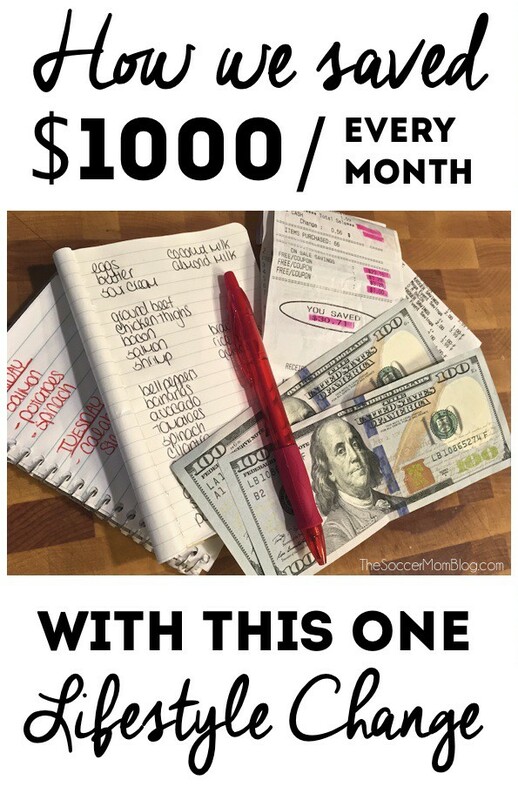 A free printable copy of the full recipe and ingredient list is available at the bottom of the post. 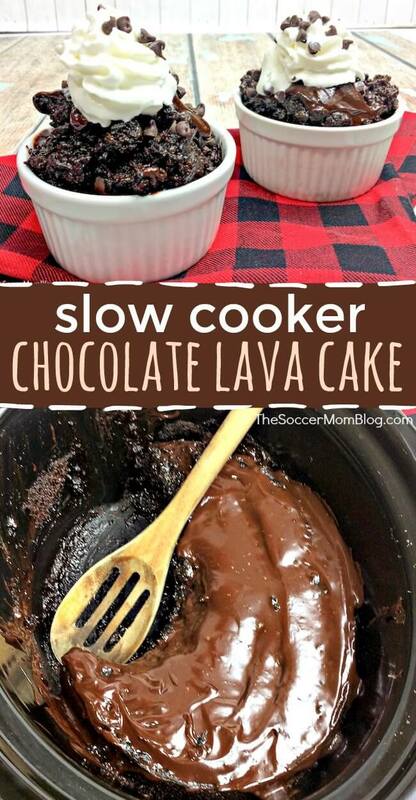 Keep reading for photo step-by-step instructions to see how we made our Slow Cooker Chocolate Lava Cake or click here to jump to printable recipe. Before pouring your batter into the slow cooker, make sure that you’ve coated the dish liberally with non-stick cooking spray. This will keep the cake from sticking to the sides. 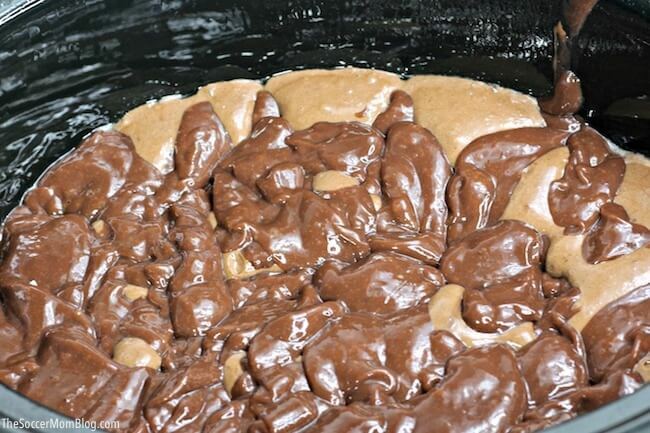 Pour pudding mix on top of cake batter, trying to cover as much of the cake as possible – but don’t stir! Cover the top of the cake with chocolate chips – you don’t want to stir these either. Make it gluten-free — Simply use a gluten free chocolate cake mix! 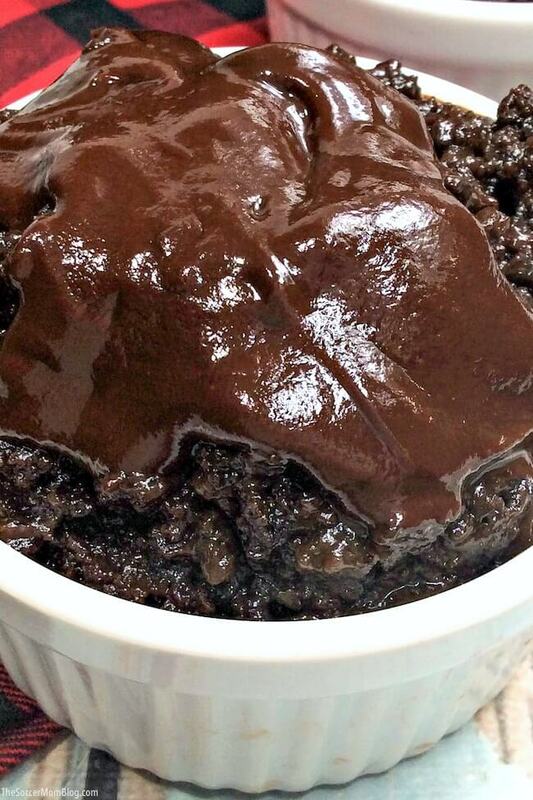 Chocolate pudding mix should be gluten free, but check the ingredients just in case. 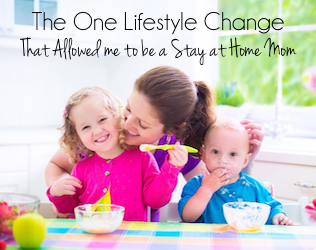 Make it dairy free — Use your favorite non-dairy milk in place of the whole milk. We like cashew milk or coconut milk because of the rich flavor and creamy texture. Customize your cake — Try different types of chocolate chips, caramel chips, mini peanut butter cups, etc. Top your cake with chocolate syrup and whipped cream! The ultimate decadent chocolate cake - and it's foolproof! 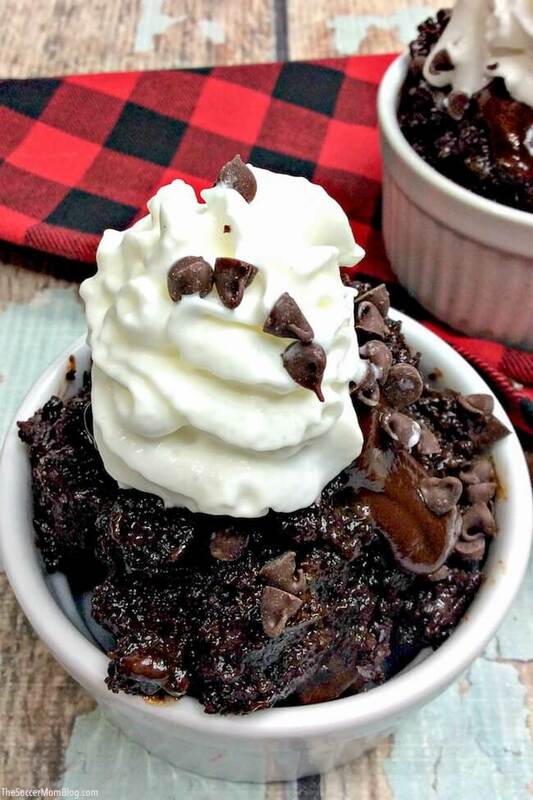 Our slow cooker chocolate lava cake is rich, gooey, and literally overflowing with fudge-y goodness! Prepare your slow cooker by generously coating the inside with non-stick cooking spray. 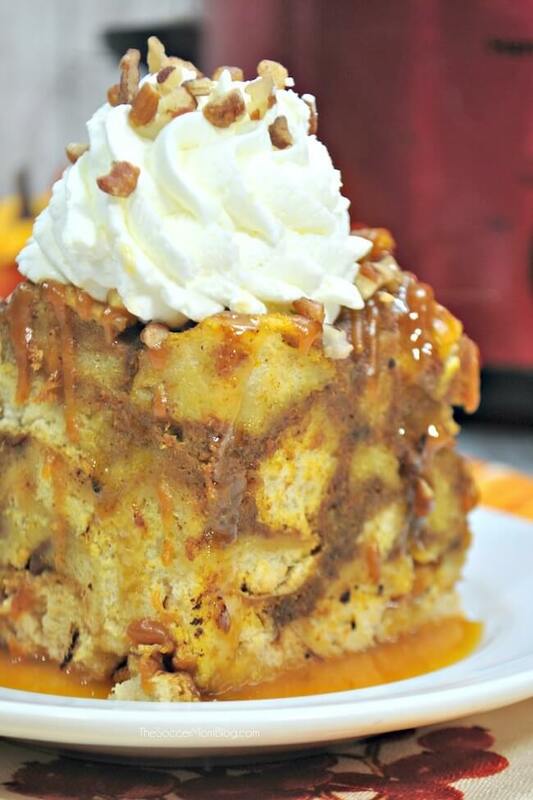 Combine the cake mix, 1 1/4 cup milk, oil, and eggs in a large mixing bowl or stand mixer and beat on low for 1 minute. 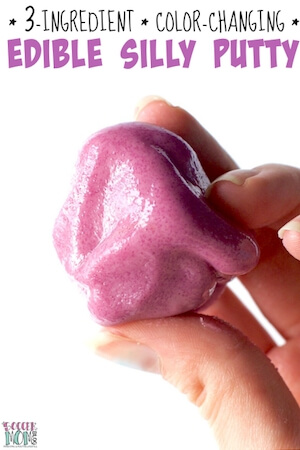 Increase speed to medium, continuing to mix for 2-3 minutes or until the batter is smooth and glossy. 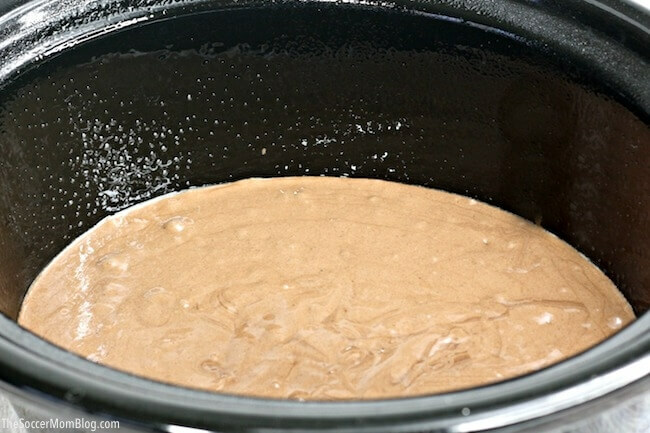 Pour the cake batter into prepared slow cooker. Combine pudding mix and 2 cups of cold milk in a second mixing bowl. Beat together on medium-low until the mixture thickens (about 2-3 minutes). Pour the pudding on top of the cake batter, coating as evenly as possible, but do not stir. 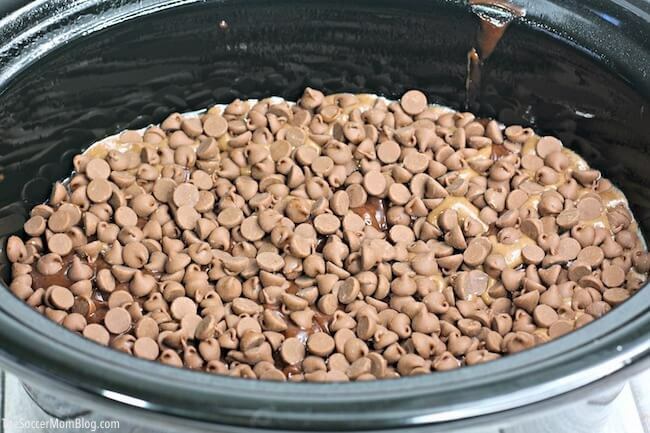 Spread chocolate chips on top of the pudding. Do Not Stir. Place the lid on top of the slow cooker and cook on low for 2 1/2 hours or until the top of the cake is set. « Homemade Fruit Roll Ups – Only 2 Ingredients!